Home Addons How to Get Even Better Activity Views in Dynamics CRM 2 people are discussing this now. Let’s say I’m looking up an Account record in Dynamics CRM and want to see all of the associated Activities to plan out my next course of action. I click on Activities from within the Account record and see that they are sorted by Open Activities scheduled in the next 30 days. That’s dandy! But what if I want to see activities from the past as well? Normally I’d need to select “All” from the dropdown to navigate to this view, since out-of-the-box views are broken up by open and closed activities. As you might have guessed, there’s a way I can customize these views to display what I want! All I need to do is install PowerOneView, (which just happens to be free to try for 30 days). Let’s do a quick comparison so you can see the awesomeness of PowerOneView. PowerOneView consolidates all related activities and records (including custom entities) in one view, so I can quickly scroll through and get an idea of everyone’s interactions with this account, person, opportunity, case, and so on. PowerOneView is added to Contact, Lead, Account, Opportunity and Case entities upon import, but can easily be added to any CRM entity. 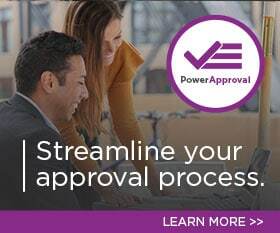 You can take PowerOneView one step further by customizing how your organization uses this tool. Consider removing the Activities, Closed Activities, and other tabs on the Left Navigation Bar altogether. This will help users get used to a centralized location for all record data in PowerOneView. No more going to different screens to find information you need – it’s all in PowerOneView. Keep checking back for more tips and tricks on Dynamics customizations, or let us know how we can help. by Joe D365	March 1, 2013 2 people are discussing this now.